French President Emmanuel Macron launched a three-month nationwide debate on Monday, after tens of thousands of anti-government protesters clashed with police across the country for the ninth consecutive weekend. The initiative is intended to address a long list of grievances among the so-called “yellow vests” — a grassroots uprising named after the high-visibility jackets protesters wear. The anti-government rallies were initially born out of anger over a fuel tax hike but have since morphed into a broader movement of growing discontent against the French president. In an open letter published by French media outlets on Monday, Macron sought to recognize protesters’ demands for change to some of his flagship policies, but appeared to stop short on rolling back his pro-business reforms. “For me, there is no banned issue. We won’t agree on everything, which is normal in a democracy. But at least we’ll show we’re a people which is not afraid of talking, exchanging, debating,” Macron said in a 2,330-word open letter. The unrest has wreaked havoc in Paris and several other French cities in recent weeks, challenging Macron’s authority and rattling the euro zone’s second-largest economy. 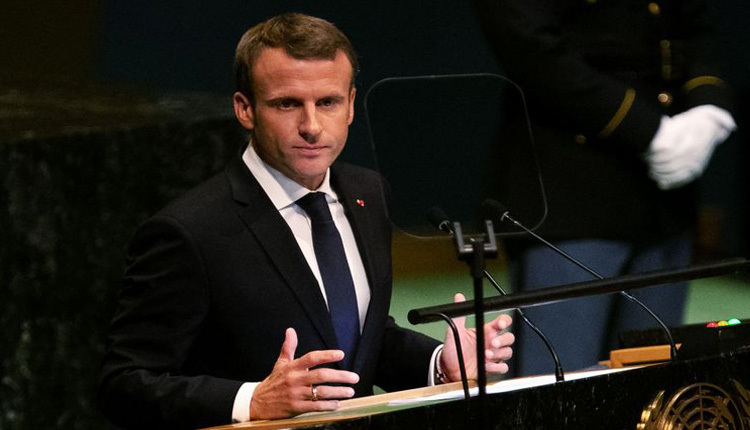 Nonetheless, the French president invited citizens across the country to give their views on four central themes over the coming weeks: taxation, the organization of public spending savings, bureaucratic procedures and citizenship and democracy. He said he would offer his own conclusions from the three-month debate on March 15 but did not offer any clues on whether there would be a possible referendum on his policies — an option reportedly suggested by some in his administration.